Why do I take only one class? Research supports that students need opportunities to immerse themselves in a content area of interest in order to develop expertise; therefore, each VSA course is designed to be an accelerated, in-depth look at a content area/subject. We recommend that you choose your class based on what interests you. We encourage you to rank at least three or four classes, but be sure that any course you rank on your application is something you would be willing to take. Once you are placed in a class you ranked, your non-refundable deposit will be due. Apply early to have the best chance for placement in your first choice class! No. VSA does not give grades or award credit. We want you to stretch your intellectual capacity without fear of failure. Your instructor will evaluate your progress, and you will receive a course evaluation report from your instructor after VSA. The report will detail your progress on a variety of factors and aims to give you a broad picture of your academic growth in the course. Yes. All rooms are double rooms. Two students (same gender) will be assigned to each room. May I choose my own roommate? To enhance the community experience, VSA typically assigns roommates through a randomized process. If you have a specific concern regarding the roommate assignment process, please contact the VSA office. What are proctors, and what do they do? Proctors are residential counselors. They are specially trained undergraduate and graduate students who live in the residence hall with VSA students and organize the residential recreational and social activities with support from VSA’s head o f residential life. Each student will be assigned to a proctor group. Your proctor will check in on you on a regular basis and help you make the best of your VSA experience. No. Students will have neither the time nor the need to leave campus in a personal vehicle. VSA is an intense summer experience, and student safety is always a priority. How much freedom will I have to go off campus? Supervision levels vary by session. The VSA daily schedule and degree of supervision is comprehensive. Students who are accustomed to unsupervised time may find the policies and practices of VSA restrictive at times. We follow Vanderbilt University’s policies regarding the presence of minors on campus, and student safety is prioritized above all else. While we understand that students are responsible individuals, VSA requires free time and recreational activities to be fully supervised and every student to be accounted for at all times. We want you to have a wonderful time while you’re with us on campus, and we encourage new friendships and community building at every turn. Yes. However, we do have restrictions on the use of these devices, which we will ask you to follow. The policy for use of electronics will be outlined in your student handbook. VSA is not responsible for lost or stolen items. Some students do find that a computer is beneficial, but it is neither required nor essential for academic purposes. Can VSA accommodate dietary restrictions? Yes, in most cases, with adequate prior notice. You will be asked to supply additional information as part of the student’s welcome packet paperwork. See page 6 for more information about dining. VSA occurs within an academic environment that requires a casual but appropriate dress code. We ask that students use good judgment in packing for the session. Clothing with offensive language, symbols, or designs is unacceptable. Revealing clothing is also unacceptable. Nashville is hot outside in the summer, but inside is often cool with ample air conditioning. Be comfortable and bring layers! Will I do my own laundry? Yes. Students attending Sessions II or III will do their own laundry. Laundry facilities are available in the residence hall. Don’t forget to pack extra quarters, a laundry bag or hamper, laundry detergent, fabric softener, etc. If you’ve never done laundry, you might want to ask your family for a crash course before you arrive at VSA! I have a rising 7th grade student, and, while we like VSA, we’re hesitant to have him/her take part in a residential program just yet. Does PTY offer any day program options for rising 7th grade? Yes! 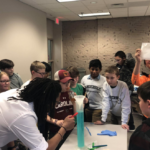 Programs for Talented Youth also offers Career Connections at Summer Academy at Vanderbilt for the Young (SAVY) as a day program option for 7th grade students. Career Connections allows students to experience how expert knowledge and skills are applied in different fields, industries, and/or research. 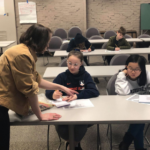 Rising seventh grade students may choose to attend Career Connections, VSA, or both! Students interested in attending both programs will need to complete two separate applications. PTY encourages students to apply during each program’s priority window to increase the likelihood of being admitted to a top-choice course. More information on the Career Connections at SAVY application timeline can be found at pty.vanderbilt.edu/savy. What is the “application priority window”? How does it affect my student’s application? All applications received during the application priority window (Feb. 6 at noon to Feb. 13 at noon) will be placed in a priority pool regardless of the particular date submitted within this window. This means that all complete and qualifying applications submitted during the application window have the same chance for placement. At the close of this window, all applications received will be randomly assigned a number determining their placement in the review queue. Applications received after the application window will be time and date stamped upon arrival and reviewed in order of receipt. Applying during the priority window does not guarantee admission, but it does increase a student’s chances of admission. Because our courses fill quickly, we highly recommend that you submit your student’s application during our application window for the best chance at placement. While most classes fill within the application priority window (noon, Feb. 6–noon, Feb. 13), we will continue to accept applications throughout the spring until all classes are filled. Why does VSA use ACT/SAT/PSAT scores to determine eligibility? 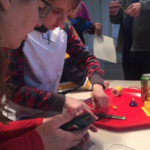 VSA specifically designs courses for academically gifted and advanced learners. Our instructors teach their courses at an accelerated pace and at a level of depth which research suggests works particularly well with academically gifted students. We use ACT/SAT/ PSAT scores as one reliable measure in determining a student’s ability to succeed at this accelerated and in-depth pace. Please see “How to Apply” (page 9) for more information and other eligibility options. Will attending VSA help my student get into Vanderbilt University? No. Admission to VSA is not an indicator of admission to Vanderbilt University. However, attending VSA will provide an inside look at Vanderbilt and opportunities to learn more about the typical college admissions process than you may get from a regular admissions visit. Yes, if you wish. Optional parent/teacher conferences (Sessions II and III) or classroom open houses (Session I) will be available to parents and guardians on check-out days. Who will supervise VSA students in the residence hall? The VSA residential staff is led by a leadership team composed of both seasonal and year-round Programs for Talented Youth staff, including the VSA program director and assistant director. The VSA director and assistant director are full-time PTY staff members; they move into the dorms to support VSA students each summer. The VSA residential leadership team features a head of student life, a head of student support, and a head of residential life who work together with the program director and assistant director to help ensure each student has a safe and positive experience. In addition to a hardworking crew of program office assistants, VSA is also supervised by a fully trained staff of 20–25 residential counselors (VSA proctors) who live on residential floors near their student groups to provide support and guidance. All VSA staff complete a multi-step screening and interview process, including an extensive nationwide background check. Staff are carefully selected and trained so they are able to help provide the best experience for your student. PTY’s full-time Executive Director and Assistant Director support VSA as well and are known to join in the fun on weekend outings and VSA evening events. May I visit my student during VSA? Other than check-in and check-out days, we respectfully request that families remain off campus while VSA is in session. However, during sessions that include weekends, families may sign their students out on Sunday mornings. More information about Sunday check-out will be provided in your student’s welcome packet. Does a student need additional spending money at VSA? We recommend about $40–$50 per week for incidentals and occasional optional outings, as well as snacks or souvenirs from the VU bookstore. Can you tell me more about the deposit? The 10 percent tuition deposit is nonrefundable and is due two weeks after the student has been notified of his/her course placement. If a student is admitted to a course that is not his or her first choice, paying the deposit does not remove the student from other waiting list positions. The deposit does secure the student’s placement in a ranked course and, therefore, in the program as a whole. Should a spot open up in a higher-ranked course, the next student on the waiting list moves into that course. Due to long waiting lists, the deposit is necessary to secure the student’s placement and reduce last minute withdrawals. Therefore, we highly recommend that students only rank courses they are willing to take. Of course, once paid, the deposit is applied to the student’s overall tuition balance. My child is interested in VSA, but we live out of state. Can my student attend VSA? What does transportation to and from the airport entail? We encourage students from all over the country and the world to apply to VSA! In summer 2018, VSA had 36 states and 11 countries represented. This summer, we hope to add to that list as we believe that the diversity in our student body creates a powerful community of learners. Students attending Sessions I, II, and III can fly into the Nashville airport, located approximately 20 minutes from campus. VSA staff work with families who are planning air travel to ensure that a VSA staff member is waiting at the airport to greet your student and to shuttle him/her back to campus in a VSA van. Per Vanderbilt policy, VSA students never have to travel to and from the airport alone. When VSA is over, shuttles with VSA staff take students to the airport. Transportation fees apply for travel services: $50 round trip or $25 one way. A transportation form detailing this information will be included in your VSA welcome packet.